Allows easy and safe lifting of the bike by the bobbins instead of the swing arms. The fixing pin diameter is 13mm (0.5") which will fit most paddock stands. High quality hooks to fit most other brand stands. 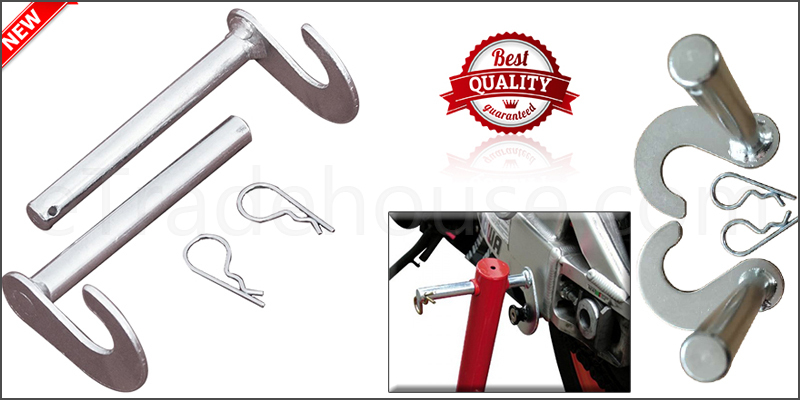 Prevents marking swing arm and solve the problem of clearance of chain on the bikes. These provide a smoother lifting action and help to prevent marking the swing arm or the fouling of the rear sprocket or chain. 1x Motorbike Rear Paddock Stand.